KM Gardens is a small husband and wife landscaping and hardscaping team. The duo design and installs beautiful landscapes & hardscapes, including walkways, steps, patios and outdoor living spaces. Reliability and attention to detail are the foundations of Barmby Landscape & Design. We strive for perfection - from the curve of a stone wall to the placement of a plant - we deliver only the best. 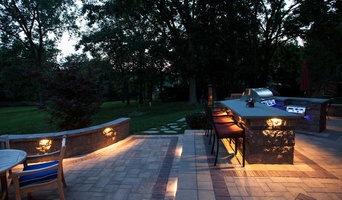 We are a design-build company that specializes in “Outdoor Living Projects”. We get great satisfaction helping our clients convert difficult spaces into functional and beautiful outdoor environments. At Chesco Landscaping, we can help turn your visions and ideas into reality. Our professional and experienced staff will work with you from start to finish, ensuring your complete satisfaction! B. DeMichele Inc. is a full-service residential and commercial company specializing in innovative designs and installations of hardscaping, landscaping, nightscaping, irrigation, & water gardens. Our intention is to treat our Customers, Contractors and Landscape Partners, and employees with respect, and to take pride in everything we do. 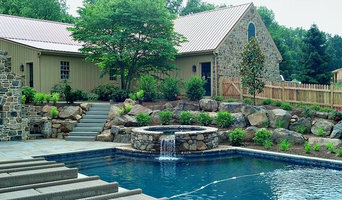 CKC Landscaping is a leader in Chester County for Landscape design and Installation. Our main focus now is on Hardscape and Landscape design and installation for residential projects, with a heavy emphasis on quality and value. 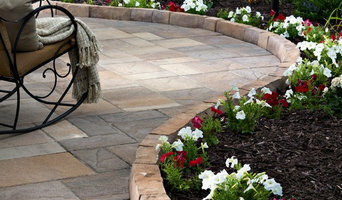 We are authorized installers of EP Henry, Techo Bloc, CST, and Belgard paver products. We also have masons on staff that are experienced in the art of natural stone. CKC Landscaping is ICPI Certified, NMCA certified, and as outlined previously we have an A+ rated by the BBB. CKC Landscaping is also well known for the ability to rehabilitate your "aging" patio, we call this process paver restoration. At Jeremy Russell Stone Masonry LLC., we provide all types of masonry services, specializing in natural stone work. We have been serving Southeast PA for over 18 years, and in that time have achieved a level of quality craftsmanship that sets us apart from our competitors. We rely on our reputation of excellence, obtained by exceeding our clients expectations in both quality of work and customer service. At Blence Landscaping, our mission is to provide our clients with the highest level of quality construction and maintenance at a fair, market competitive price. To ensure the longevity of our company, we rely on repeat and referral business. This willingness for customers to do continued business with Blence Landscaping, as well as recommend us to others, is proudly achieved through a commitment to customer satisfaction, attention to detail, and our service minded attitude. Our pledge is to maintain lasting relationships with our clients by truly exceeding their expectations in every way. Customers see our desire to earn their trust through exceptional performances by every member of our team, every day on the job. Not gifted with garden tools? Professional Downingtown landscaping companies are your best bet to get lush, lovely grounds year round. Hire a landscaper to create and maintain a beautiful yard that complements your home and blends into its native setting. 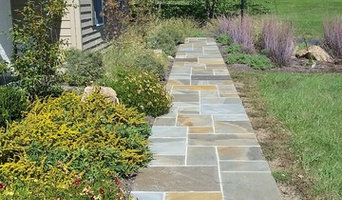 From soil, grasses and plants to decks, walkways and patios, Downingtown landscape contractors are well versed in the components that make up a functional and visually pleasing outdoor living space. Learn more about how a landscaping company in Downingtown, PA can help you with your yard below. What does a Downingtown landscape contractor do? Landscaping contractors execute lawn, garden and hardscaping plans that have been drawn up by an architect or designer. They may also provide design services on their own. After the everything has been installed, landscape companies can make adjustments, maintain plantings, take care of weeds and pests, and perform other tasks to keep the scheme looking its best. A licensed Pennsylvania landscaper should have detailed knowledge of Downingtown, PA weather and climate trends and conditions, and can choose plants and materials that are well suited to the area. Residential landscape companies in Downingtown, PA also handle many of the same general duties as builders, including arranging for construction permits, hiring subcontractors and making sure that designs comply with Pennsylvania building codes. Find Downingtown landscaping services on Houzz. 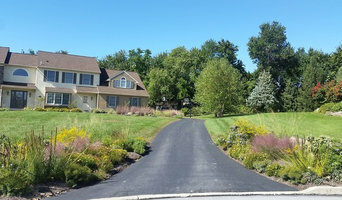 Narrow your search in the Professionals section of the website to Downingtown, PA landscape contractors. You may also look through photos of Pennsylvania landscapes to find one you like, then contact the landscaping company in Downingtown, PA who worked on it.